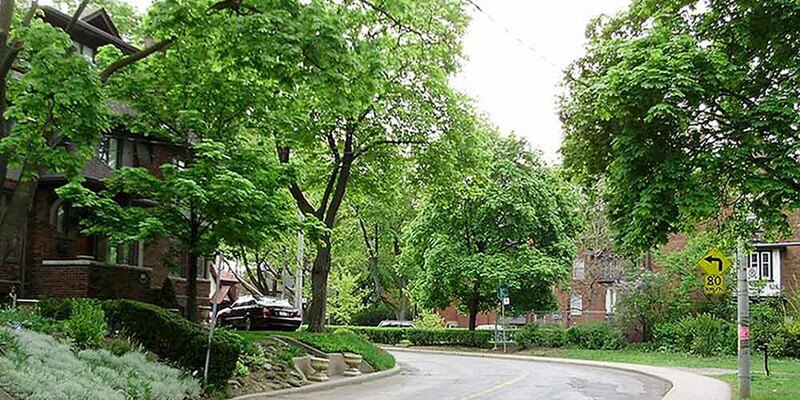 The sightlines and majestic beauty of the Avenue Road Hill have, over the years, inspired many of Toronto’s wealthiest citizens to build their homes here. In the 1920’s, shortly after Sir Henry’s departure from Casa Loma, the extensive grounds and greenhouses to the north of the castle were subdivided, and the current neighbourhood began. Casa Loma’s large Tudor, Georgian, Edwardian, and English Cottage style homes were built mostly between 1905 and 1940. The houses on the south side of Lyndhurst Court enjoy a spectacular view of Toronto’s skyline and Lake Ontario. Many homes in this neighbourhood back onto the Nordheimer ravine, a virtual forest of mature oak and maple trees. In addition to single family houses, the Casa Loma neighbourhood contains a mix of duplex and triplex houses, luxury townhouses, condominiums and co-ownership apartment buildings. 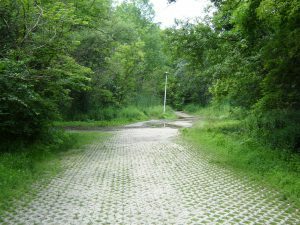 Wrapped around Sir Winston Churchill Park is the Nordheimer Ravine. 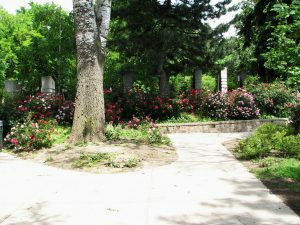 This quiet oasis features a rustic wood path with many excellent picnic spots, and a large variety of trees, plants and wildlife. Wells Hill Park, contains a children’s playground and a wading pool. 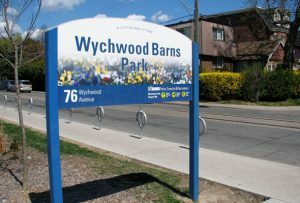 Across the street from this park is the Wells Hill Lawn Bowling Club and the Wychwood Public Library. The local community centre operates out of Hillcrest School and includes an indoor pool and a gymnasium. For motorists, the main arterial roadways are Bathurst Street and St.Clair Avenue. An 8.6 hectare park on St. Clair Ave W at Spadina Rd this park features ten lighted outdoor tennis courts, a large off leash area and a children’s playground. A small tree lined park near Davenport Road and Bathurst Street featuring a children’s playground.